Crime Fiction Lovers on Shake, Rattle and Kill! 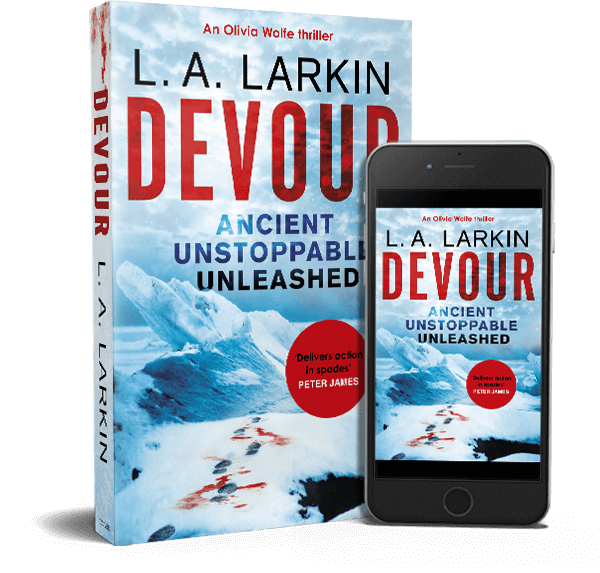 British-Australian author LA Larkin is fascinated with Antarctica and here poses the questions: what if ancient microbes were living in a subterranean lake underneath the polar ice cap; and what if those microbes were dangerous superbugs? The book begins with a murder as someone tries to sabotage a British Antarctic mission, and investigative reporter Olivia Wolfe is sent to investigate. More used to reporting on wars in Afghanistan and Chechnya, she gets caught up on the problems the mission faces with a Russian team also in Antarctica. Somebody is spying on Wolfe, and somebody wants to get their hands on the bacteria samples the British are discovering. Badly. It’s out 26 January.